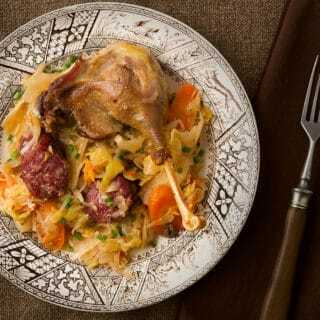 An easy turkey wings recipe from France. 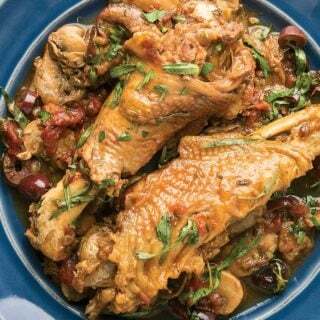 This is turkey wings a la Nice, braised turkey wings with vegetables, olives and a bit of vinegar. Like Chinese BBQ? You’ll love this recipe. 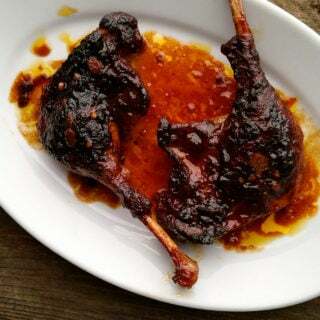 Use duck legs or goose legs, braised in Chinese barbecue sauce. Few places celebrate turkey like Mexico. It is where the turkey was domesticated, and there are scores of great recipes for these birds there. This is a traditional Yucatan turkey recipe, using legs, thighs and wings that are marinated, grilled, then braised. The moment I shot my first javelina, I knew I needed to make cochinita pibil. My instincts were not wrong. 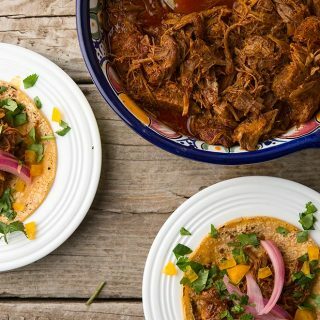 This is slow cooked, pulled meat (normally pork) marinated in citrus and achiote (annato) paste. Damn good on tortillas with pickled red onions. 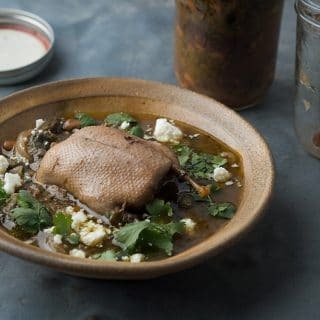 Teal, cooked in a Mason jar? You bet. It’s a great method that works well not only with Southwest flavors. Great for parties, too. 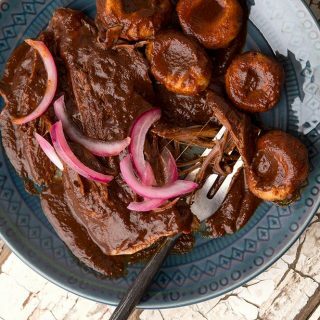 Mole, pronounced “mole-ay,” is a set of masterful, rich and luxurious sauces from Mexico. There are seven great moles from Oaxaca in the south, and this is one of them. 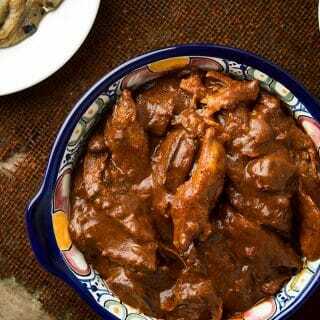 Mole chichilo is actually served with venison there, so I thought I’d recreate the recipe here for you. If you make it, you’re in for a treat. 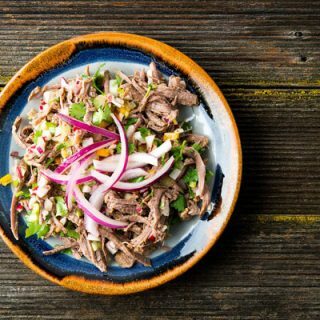 This is a bit like venison barbacoa, but this version, from the Yucatan in southern Mexico, is so zippy it’s just as good eaten as a cold salad. Either way, this is an excellent recipe for a front shoulder, neck or roast.